It all began on this day in 1776. A bunch of revolutionaries wrote up a fancy document and sent it off to the King of England, who ruled them at the time. I’m talking about the Declaration of Independence. But independence isn’t so easily won as that. Winning freedom from oppression takes more than a piece of paper. It would be a few more years before the U.S. Constitution was drafted and the United States of America became an independent nation. So, happy birthday, Miss America. 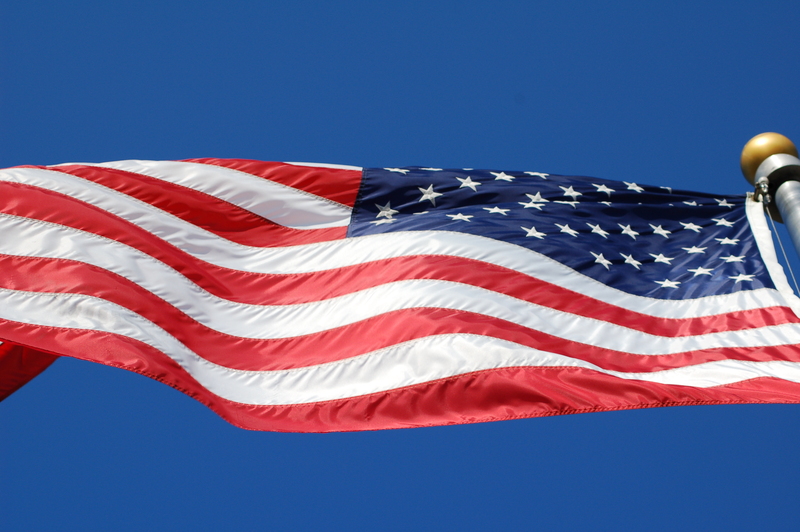 I’m still proud to be an American even if I shudder at some of the problems in America. Light off an extra fire cracker for me. Look at the pretty red to pink header on my page. Doesn’t it scream for attention? And did you notice the new tag-line for my site? Maybe you even voted for it when I was polling my Facebook friends. Has an excellent ring doesn’t it? Makes you think of anything? If I say I write romance or fantasy or inspirational fiction, the line still makes sense. It’s all-inclusive. And since you’ve been seeing plenty of posts about Captain America and the idea of being a superhero, it makes everything clearer. I’m trying to streamline my author brand. By choosing colors and a tag-line that speaks to the heart of my message, I’m hoping to find my niche, make a connection or just settle in with an audience. Beginning this week, I’m going to start a series of posts to fit the theme “What Would Wonder Woman Do?” I got this idea from a discarded tag-line during the process of honing in on the perfect fit. Since I’m trying to make all my posts have something to do with heroes, this seems perfect. Look for this meme on Thursdays, and you’ll know my take on something from Wonder Woman’s worldview is about to follow. Another series inspired by rejected tag-lines is “Between the Lines.” I’m not sure when I’ll begin posts with that theme but they will be the midweek post once Wonder Woman is exhausted. Does Wonder Woman ever need a break? This one does. Beginning this month, if you follow via email, you’ll notice that I’m returning to posting three days per week. I’m not sure how long I’ll be able to keep that up. Mondays will be my regular posts. Thursdays will be my What Would Wonder Woman Do series (until I deplete my creative brain on that topic). On Friday or Saturday, I’ll post “The Week In Gratitude” or something like that. It will be the gratitude memes for the week. I don’t hear much from the readers of my blog. I tell myself it’s because you’re delighted with the content I’m providing. If it’s because you’re bored or aren’t reading it, I hope this change will inspire renewed interest. If you have ideas for series themes, let me know. If there are other topics you wish I’d address, feel free to tell me about it. The comments on this post is the perfect place for that. Or use the contact form from the “Author Info” page. So What Would Wonder Woman do if she were you? Sitting in a metal folding chair, I’m surrounded by parents. We’re in the gymnasium of our neighborhood elementary school. My son is receiving a reward. I freely admit that an enormous clot of snot clogged my throat. Tears set my eyes on red alert. Something about a crowd of young people reciting the pledge with one voice chokes me up every time. It’s the same with the National Anthem. This embarrassed me twenty years ago. People stared at me, wondering what I had to cry about. It was only a song, after all. Eighth graders at the middle school where I worked for seven years still learn the history behind it. Sadly, I think to them, it’s just another meaningless factoid they’ll be expected to know for a test. Kids don’t stand for the pledge. Only five years after the incident where I listened to an entire school recite the pledge in unison, I stood dumb-founded at the back of a classroom. Tuesday morning the principal came over the intercom and “offered the opportunity” for students to say the pledge. In a class of 34 students, maybe 20 stood up. Some of them talk during the pledge. The teacher in the room during a specific year I’m recalling is a veteran of the navy (and I served in the Army Reserves). A few students decided to have a confab during the pledge. When it was finished, she took them to town. It’s disrespectful to talk during this ceremonial action that takes all of 20 seconds to accomplish. You know what happened? One of the kids complained to his parents. Parents called principal and the time for the pledge was moved to a different class period so that student wouldn’t be in that teacher’s class during the pledge. Really? That’s a solution? What’s the name of the National Anthem again? You might think I’m joking, but if I asked 20 students at the middle school, only 60 percent of them would be able to tell me. Freedom is a right. American youth have an incredible sense of entitlement. The example of the kid tattling on the teacher is a perfect illustration. They have the right to do and say as they please. They are free to disrespect anyone and everyone. Freedom is a privilege, but these kids have so many privileges that they could care less about it (unless you infringe on their right to wear an obscene t-shirt to school). Maybe I’m just an over-emotional woman, but I cried when I stood in front of the Vietnam War Memorial in Washington, DC, for the first time. 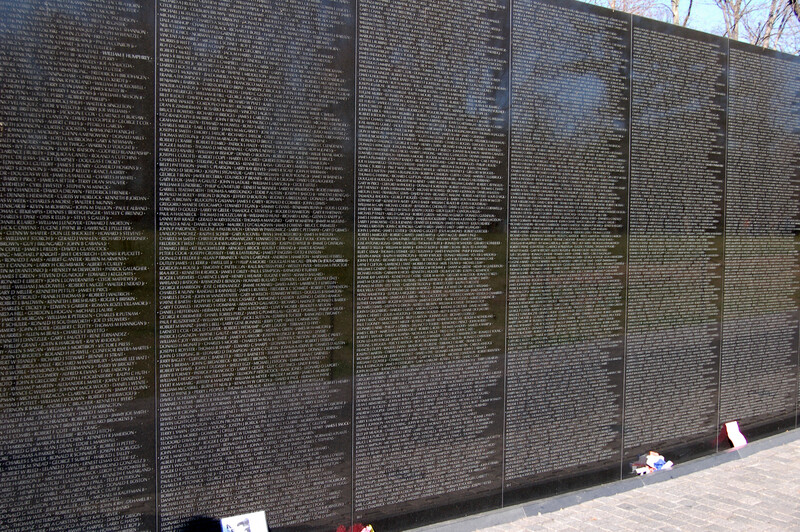 A long wall of names of brave men and women who died so some kid could talk during the pledge. Vietnam War Memorial in D.C. Okay, that was an exaggeration, but in reality, what would make these kids sit up and take notice that their freedom of expression was bought and paid for by millions of pints of blood over hundreds of years? Freedom is never free. As soon as we start taking it for granted, we’re disrespecting all the patriots who gave it all for our liberty. How do you define patriotism? Do you think the youth of today lack it? Will they “grow into” it as they become more mature?